Just Comment: Copenhagen - Real or Scaremongering? Copenhagen - Real or Scaremongering? The Copenhagen Summit on Climate Change has started and will no doubt dominate our news media for the next fortnight (unless of course there is something more newsworthy from the camp of Tiger Woods). What do you make of it? Is it simply a lot of career-making scientific scaremongering or is it a real issue of justice (present and future) that we should engage with? THE SALVATION ARMY AFFIRMS THAT WE MUST ADOPT LARGE SCALE AND PERMANENT CHANGES IN ATTITUDES AND BEHAVIOUR TOWARDS GOD’S CREATION. IF WE FAIL TO DO THIS,WE RISK THE LIVES OF THE WEAKEST AND MOST VULNERABLE — ESPECIALLY CHILDREN AND THE ELDERLY. The Salvation Army believes that, as people made in the image of God (Genesis 1:27), we have a responsibility to use the resources of the earth in a way that ensures that people in this and future generations do not suffer from poverty or injustice. This is part of our stewardship of the earth and our love of others. In the modern world, Christian stewardship implies large-scale and permanent changes in attitudes and behaviour towards God’s creation, so that we begin to “replenish the earth” (Gen. 1:28). Responsibility was given to humanity to “cultivate and keep” the earth (Gen. 2:15), but humanity has destroyed or is destroying much of God’s creation (Isaiah 24: 4,5). God’s instruction to “subdue” the earth and “rule” over every living thing (Gen. 1:28) cannot be interpreted to justify exploitation. God gave His people rights and privileges, but these included duties and responsibilities. Given the finite resources of the world and its expanding population, together with the impact of industrial and rural activities, development must take account of the need to preserve the earth — an exercise in responsible stewardship. care for those who become the victims of the need for environmental stewardship, or who are the victims of environmental vandalism. Salvationists are encouraged to consider seriously their personal responsibility for the environment by taking practical steps to regenerate and conserve God’s creation" (Cited at http://www.arrcc.org.au/). 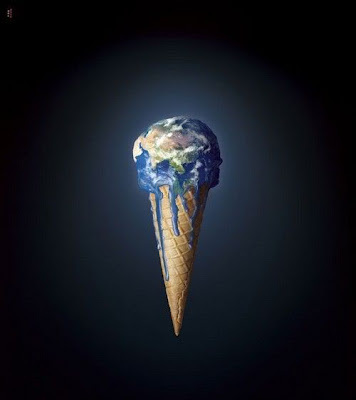 What is your take on Climate Change? Is it changing how you live, work and worship? Thank you for your posting. I really enjoyed it. I see this painting as a truth. We've gone to far in human greed.